The United Kingdom is on course to leave the European Union on March 29 unless PM May can convince the bloc to reopen the deal although the bloc has refused to do so. Theresa May will say that talks with the EU are at a crucial stage. 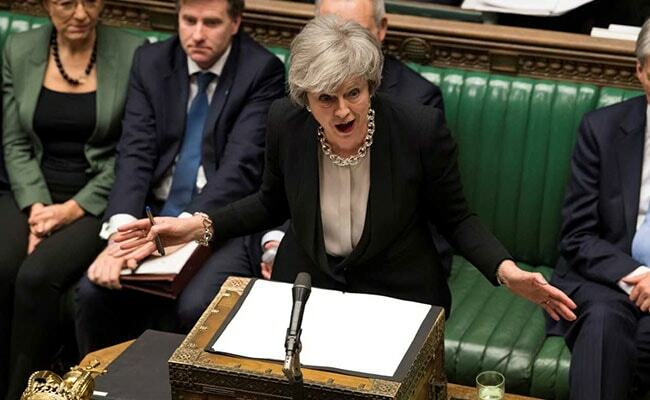 Prime Minister Theresa May will tell British lawmakers on Tuesday to hold their nerve over Brexit to force the European Union to accept changes to the divorce deal that would pave the way for an orderly exit. "We now all need to hold our nerve," Ms May will tell lawmakers, according to the BBC. The EU has refused to reopen the Brexit divorce deal, though Ms May insists she can get legally binding changes to replace the most contentious parts of the Irish border 'backstop', the main hurdle to a Brexit deal.